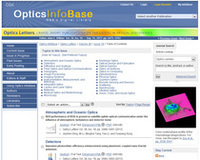 When it comes to "phase measurement" or "quantitative phase imaging", many people will automatically connect them with "laser" and "interferometry". 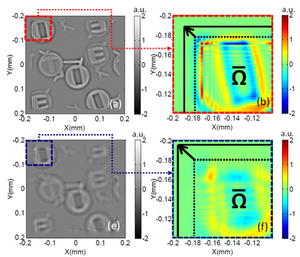 Indeed, conventional quantitative phase imaging and phase measurement techniques rely heavily on the superposition of two beams with a high degree of coherence: complex interferometric device, stringent requirement on the environmental stability, and associated laser speckle noise greatly limit its applications in the field of microscopic imaging. On the other hand, in spite of the insufficiency for interferometry, mircoscopists and biologists tend to use partially coherent illuminations (like Kohler's illumination in a conventional microscope) to achieve optimum spatial resolution, higher signal-to-noise ratio, and better image quality. To compensate for the inability to get the quantitative phase information, they also combine various types of sophisticated phase contrast imaging technology to make phase specimens become visible. Although phase objects cannot be observed directly, they incessantly, and implicitly manifest their existence: the twinkling of stars in the night, the distorted scene outside the window in the rain, the network of bright lines at the bottom of a swimming pool in the sunshine. These are all manifestations of phase, implying the inextricably ties between phase and intensity of light wave. In 1983, Teague first establish the quantitative relationship between the longitudinal intensity variation and phase of transporting light with use of a second-order elliptic partial differential equation, so called transport of intensity equation (TIE). With only intensity measurements at several distances along its propagation direction, the phase can be quantitatively retrieved by solving the equation deterministically, without resorting to interferometry or separated reference wave. It is non-interferometric, works with partially coherent illumination, like the built-in halogen lamp in a conventional microscope. It does not require a complicated optical system, can well be compatible with the conventional bright field microscope. It is a single beam method and less stringent to environmental instability. It directly recovers the continuous phase without 2π discontinuity, so there is no need to phase unwrapping. It can provide high-quality, real-time phase measurement with high resolution in full four-dimension (lateral (x and y) and vertical (z) and temporal (t)). How to solve TIE correctly? How to extend TIE to partially coherent field? A fast solution with use of discrete cosine transform to the transport of intensity equation has been proposed, which firstly solve the boundary value problem under inhomogeneous Neumann boundary conditions. The rigorous proof of the existence and uniqueness of the solution to the boundary value problem is provided. This approach is applicable for the case of non-uniform intensity distribution with no extra effort to extract the boundary values from the intensity derivative signals. The analytic integral solution via Green’s function is given, as well as a fast numerical implementation for a rectangular region using the discrete cosine transform. In addition, an iterative compensation method against the phase discrepancy owing to the Teague’s auxiliary function has been presented. The compensation method is simple and efficient, and it firstly addresses long-lasting theoretical issue that the transport of intensity equation is difficult to obtain exact solution. The TIE is a two-dimensional second order elliptic partial differential equation that must be solved under appropriate boundary conditions. However, the boundary conditions are difficult to obtain in practice. We consider the TIE phase retrieval as an inhomogeneous Neumann boundary value problem with the boundary values experimentally measurable around a hard-edged aperture, without any assumption or prior knowledge about the test object and the setup. The analytic integral solution via Green’s function is given, as well as a fast numerical implementation for a rectangular region using the discrete cosine transform. This approach is applicable for the case of non-uniform intensity distribution with no extra effort to extract the boundary values from the intensity derivative signals. Its efficiency and robustness have been verified by several numerical simulations even when the objects are complex and the intensity measurements are noisy. This method promises to be an effective fast TIE solver for quantitative phase imaging applications. The transport of intensity equation (TIE) has long been recognized as a quantitative method for phase retrieval and phase contrast imaging. However, it is shown that the most widely accepted fast Fourier transform (FFT) based solutions do not provide an exact solution to the TIE in general. The root of the problem lies in the so-called “Teague’s assumption” that the transverse flux is considered to be a conservative field, which cannot be satisfied for a general object. In this work, we present the theoretical analysis of the phase discrepancy owing to the Teague’s assumption, and derive the necessary and sufficient conditions for the FFT-based solution to coincide with the exact phase. An iterative algorithm is then proposed aiming to compensate such phase discrepancy in a simple yet effective manner. A unified framework based on Savitzky-Golay differential filter has been introduced, and it has been found that all existing strategies for estimating the axial intensity derivative can be unified by the Savitzky-Golay differentiation filter with different orders. The different viewpoint from the digital filter in signal processing provides great insight into the behaviors, the shortcomings, and the performance of these existing intensity derivative estimation algorithms, revealing that in traditional differential estimation method, the contradiction between low-frequency artifacts and high-order nonlinearity errors is irreconcilable. 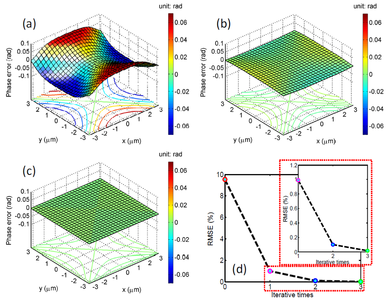 Based on the unified framework, two novel methods for phase retrieval based on TIE are presented - the first by introducing adaptive-degree strategy in spatial domain and the second by selecting optimal spatial frequencies in Fourier domain. The optimal frequency selection method efficiently solves the contradiction between low-frequency artifacts and high-order nonlinearity errors, improving the noise resistance and phase reconstruction accuracy significantly. Several existing strategies for estimating the axial intensity derivative in the transport-of-intensity equation (TIE) from multiple intensity measurements have been unified by the Savitzky-Golay differentiation filter - an equivalent convolution solution for differentiation estimation by least-squares polynomial fitting. The different viewpoint from the digital filter in signal processing not only provides great insight into the behaviors, the shortcomings, and the performance of these existing intensity derivative estimation algorithms, but more important, it also suggests a new way of improving solution strategies by extending the applications of Savitzky-Golay differentiation filter in TIE. Two novel methods for phase retrieval based on TIE are presented - the first by introducing adaptive-degree strategy in spatial domain and the second by selecting optimal spatial frequencies in Fourier domain. Numerical simulations and experiments verify that the second method outperforms the existing methods significantly, showing reliable retrieved phase with both overall contrast and fine phase variations well preserved. Based on phase-space optics theory, a generalized transport-of-intensity equation and associated theories are derived in the joint space-spatial frequency domain using Wigner distribution functions. It explicitly covers various optical fields with arbitrary spatial and temporal coherence, and reduces to the conventional transport-of-intensity equation derived by Teague in the limiting case of the perfect coherence. The new equation clarifies the physical meaning of the phase of partially coherent fields, and provides a powerful tool to analyze the effect of the partially coherent illumination and the imaging system on phase retrieval. It blazes a new path for the phase measurement and retrieval under partially coherent illumination, and establish a theoretical basis for the associated noninterferometric quantitative phase imaging techniques. Corresponding computational imaging approaches are derived from generalized transport of intensity equation and these approaches effectively solved two technical difficulties - noninterference phase recovery under partially coherent illumination, and high resolution computational light field imaging. The main results established includes the following three aspects: First, by properly extending the definition of “phase”, phase measurement can therefore be simply realized via one-time measurement of the intensity transport of the object under partially coherent illuminations with limited coherence requirements, provided the source distribution is symmetric about the optical axis. Second, the Wigner distribution function serves as a direct bridge between the physical optics and the geometric optics, enabling the applications of the generalized transport of intensity equation to be extended to high resolution light field imaging for slowly varying specimens, in a purely computational manner. Finally, when considering the finite aperture of imaging system, a higher degree of spatial coherence helps to improve the phase retrieval accuracy at the expense of resolution limit. A generalized transport-of-intensity equation (TIE) is derived in the joint space-spatial frequency domain using Wigner distribution functions. It explicitly covers various optical fields with arbitrary spatial and temporal coherence, and reduces to the conventional TIE derived by Teague in the limiting case of perfect coherence. The new equation clarifies the physical meaning of the phase of partially coherent fields, and provides a powerful tool to analyze the effect of the partially coherent illumination and the imaging system on phase retrieval. The correspondence between the Wigner distribution function and the light field in geometric optics further enables TIE to become a simple yet effective approach to realize high-resolution light field imaging for slowly varying phase specimen, in a purely computational way. 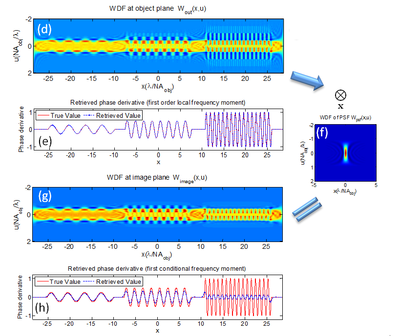 C. Zuo, Q. Chen, W. Laura, L. Tian, A. Asundi, "Transport of intensity phase retrieval andcomputational imaging for partially coherent fields: the phase space perspective" Opt Laser Eng 67, 176-181 (2015). 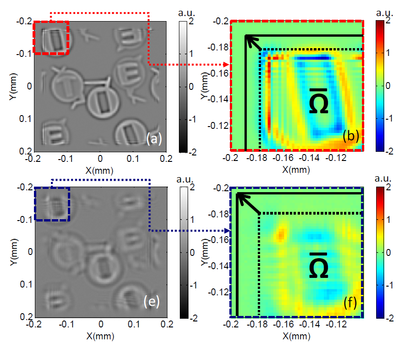 Several new experimental configurations has been proposed for realizing dynamic quantitative phase microscopy based on transport of intensity equation. 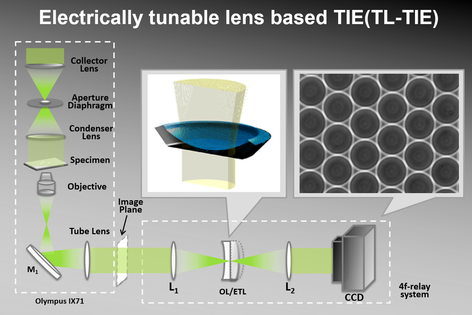 The (tunable lens) TL-TIE system utilizes an electrically tunable lens to realize high-speed, non-mechanical, precisely controllable telecentric defocus. 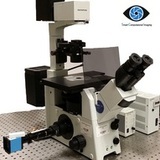 It can be seamlessly connected to a conventional bright field microscope as an add-on module, endowing the conventional bright field microscope with the ability of real-time, high-speed, 3D quantitative phase imaging. Thus the application range can be further expanded from static or slowly moving objects to dynamic or fast-changing events. 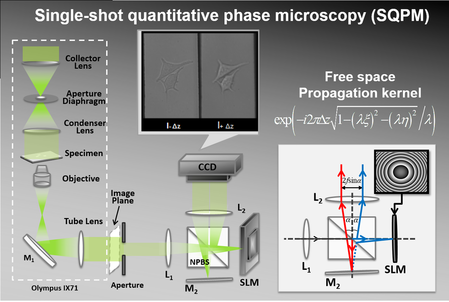 The single-shot quantitative phase microscopy (SQPM) system realizes programmable digital defocusing by using a spatial light modulator, and two distinct intensities at different defocus distances can be acquired in single frame with a Michelson-type optical configuration, making single-shot noninterferometric transport of intensity phase microscopy possible. 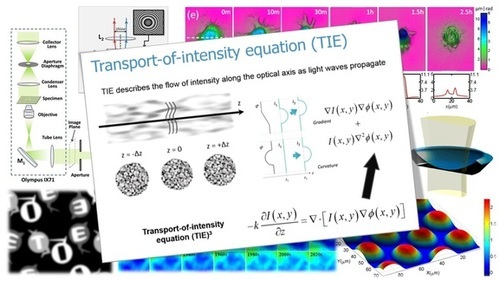 It is the first time that the transport of intensity equation is successfully applied to the field of biomedical microscopic imaging of dynamic living cells. We have realized high resolution 3D quantitative phase imaging for several dynamic cellular processes, such as membranes, lamellipodia fluctuations of breast cancer. We present a high-speed transport-of-intensity equation (TIE) quantitative phase microscopy technique, named TL-TIE, by combining an electrically tunable lens with a conventional transmission microscope. 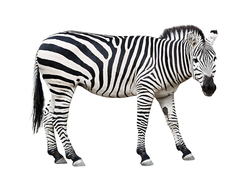 This permits the specimen at different focus position to be imaged in rapid succession, with constant magnification and no physically moving parts. 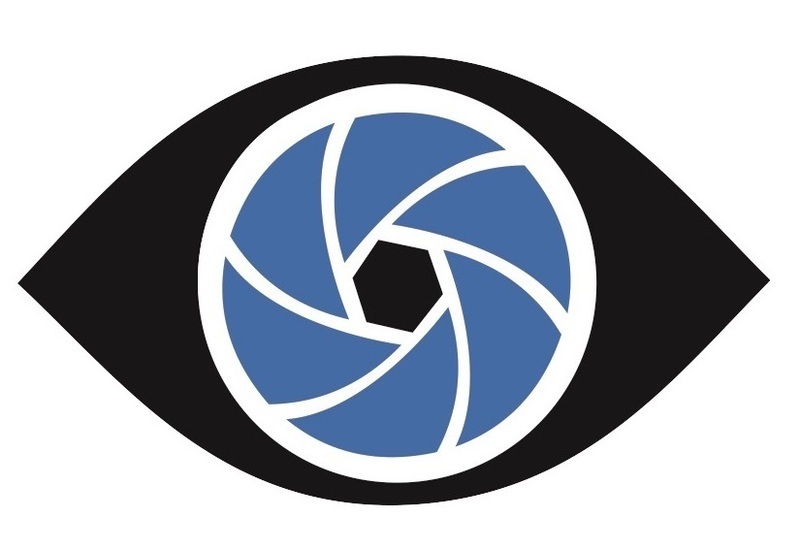 The simplified image stack collection significantly reduces the acquisition time, allows for the diffraction-limited through-focus intensity stack collection at 15 frames per second, making dynamic TIE phase imaging possible. 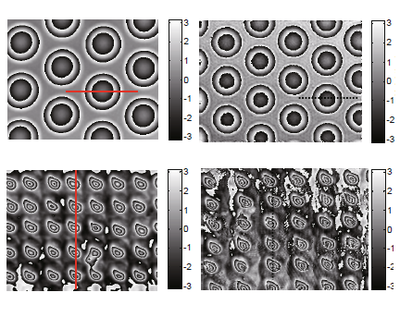 The technique is demonstrated by profiling of microlens array using optimal frequency selection scheme, and time-lapse imaging of live breast cancer cells by inversion the defocused phase optical transfer function to correct the phase blurring in traditional TIE. 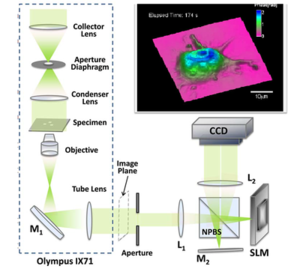 Experimental results illustrate its outstanding capability of the technique for quantitative phase imaging, through a simple, non-interferometric, high-speed, high-resolution, and unwrapping-free approach with prosperous applications in micro-optics, life sciences and bio-photonics. 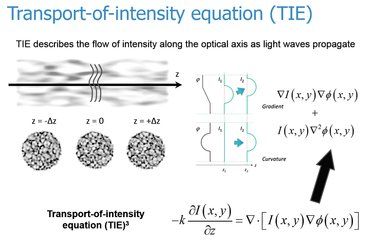 C. Zuo, Q. Chen, W. Qu, A. Asundi, "High-speed transport-of-intensity phase microscopy with an electrically tunable lens," Optics Express 21, 24060-24075 (2013). A. Asundi, C. Zuo, "Schemes for use of Transport of Intensity Imaging for Dynamic Applications", US Patent Provisional App. US 61/842,172, (2013). We present a noninterferometric single-shot quantitative phase microscopy technique with the use of the transport of intensity equation (TIE). The optical configuration is based on a Michelson-like architecture attached to a nonmodified inverted transmission bright field microscope. 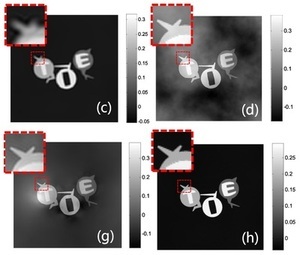 Two laterally separated images from different focal planes can be obtained simultaneously by a single camera exposure, enabling the TIE phase recovery to be performed at frame rates that are only camera limited. Precise measurement of a microlens array validates the principle and demonstrates the accuracy of the method. Investigations of chemical-induced apoptosis and the phagocytosis process of macrophages are then presented, suggesting that the method developed can provide promising applications in the dynamic study of cellular processes. We propose a method for retrieving the phase of a wavefront from the diffraction patterns recorded when the object is sequentially illuminated by spatially modulated light. For wavefronts having a smooth phase, the retrieval is achieved by using the deterministic method TIE. Unlike the traditional TIE, which records the object wave intensities in two or more axially spaced planes, this method records the intensity patterns in a single plane. In the traditional TIE, the phase is retrieved from the second-order phase derivatives, and knowledge of the boundaries is needed. Instead, the proposed method reconstructs the phase from the first-order derivatives and avoids the difficulty of determining the boundary conditions. The traditional TIE produces artifacts when the object wavefront has low-frequency modulation, while the modulated illumination used here produces a high frequency and thus improves the SNR of the phase imaging. When the phase has discontinuities, an iterative process is used for the retrieval and enhancement of the spatial resolution. Both the deterministic and iterative phase reconstructions are demonstrated by experiments. Thanks to the perfect solution of transport of intensity equation under the inhomogeneous Neumann boundary conditions, we have successfully apply it to the field of micro-optics characterization. Different types of micro- optics components such as micro-lens array, cylindrical micro lenses, and Fresnel lenses have been accurately profiled. 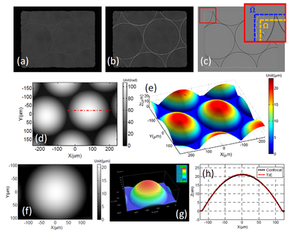 We demonstrated that the TIE-based phase retrieval approach allows for optical inspection of micro-optical components. It is implemented based on a conventional bright-field microscope and use the partially coherent illumination. Thus it possesses better spatial resolution and less suffers from the speckle noise than interferometry. Furthermore, with regard to the state of the art in phase-retrieval by means of the TIE, the technique has another two major advantages: First, it completely erases the boundary artifacts by simply introducing an aperture in the intermediate image plane, without requiring any assumptions or a prior knowledge about the test object and the setup. Second, in contrast to existing approaches, with use of an ETL, the measurement time is considerably reduced and no further mechanical adjustment is needed during the measurement. The validity and practicality of the proposed method have been demonstrated with a wide variety of microoptical components, suggesting that it is a simple, fast, and accurate measurement technique for the micro-optics inspection. We have conducted a comparative study between transport of intensity equation method and digital holography. Then we propose a new way to demodulate continuous phase of digital holography directly by solving the transport of intensity equation, achieving complementary advantages for both approaches. Furthermore, it provides a new effective way to eliminate the tilt and quadratic phase aberration inherent in digital holography without cumbersome physical or digital compensation procedure. In the past couple of decades, digital holography (DH) has emerged as a front-runner for phase imaging by providing quantitative phase measurements of the wave field with high accuracy and in near real-time. Recently, however, direct phase retrieval from intensity measurements using the Transport-of-Intensity Equation (TIE) has gained increasing attention. We conduct a comparative study between these two approaches and propose a new way to demodulate continuous phase of digital holography directly by solving the transport of intensity equation, achieving complementary advantages for both approaches. C. Zuo, Q. Chen, W. Qu, A. Asundi, "Direct continuous phase demodulation in digital holography with use of the transport-of-intensity equation", Opt Commun 309, 221-226 (2013). 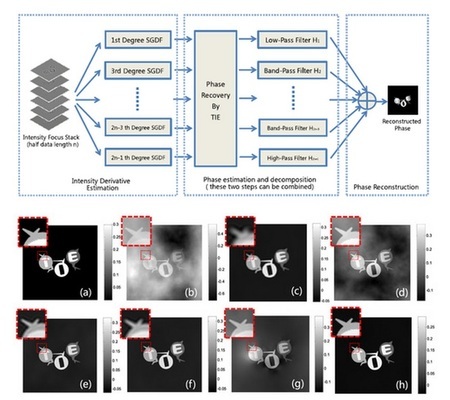 C. Zuo, Q. Chen, and A. Asundi, "Comparison of Digital Holography and Transport of Intensity for Quantitative Phase Contrast Imaging," in Fringe 2013 (Springer Berlin Heidelberg, 2014), pp. 137-142.